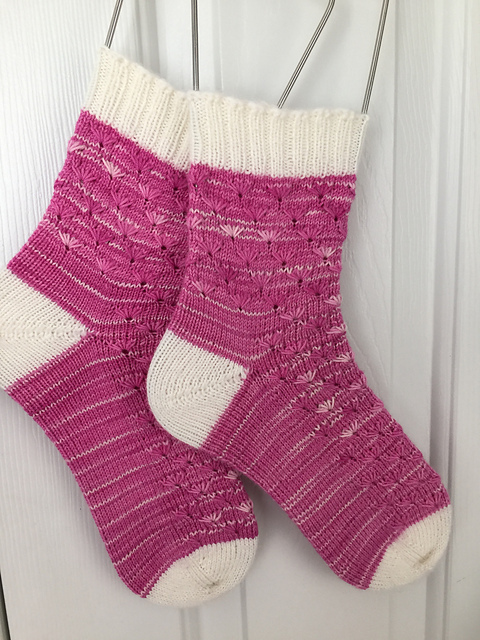 Fine and Dandy Socks by The Sweater Co. using One Twisted Tree Prime Sock and Knit Picks Stroll. These are for the #fineanddandykal being run by Jaclyn of the Brooklyn Knitfolk podcast and the #boxosoxkal being run by Kristin of the Yarngasm Podcast. Probably not going to make the KAL deadline for the Knitfolk Podcast. Pure Joy by Joji Locatelli using Madelinetosh Tosh Merino Light. 3 Color Cashmere Shawl by Joji Locatelli using Hedgehog Fibres Skinny Singles and Madelinetosh Tosh Merino Light. I found the perfect pink! Cozy Memories Blanket (Junkyarn's Recipe). I put on seven squares as part of the #blanketblitzkal being run by Shannon of the Soxcetera Podcast. First Ever Toe Up Socks. The yarn is Done Roving Yarns Frolicking Feet. Things Unseen by Lizzie Kate using 36 ct. Vintage Pearled Barley by Lakeside linens and Weeks Dye Works. Budding Bluebells Kit - Nicole's Choice by Hue Loco. I chose the singles kit. I can't wait to start Mina's shawl! Minis in an exchange from Dianne (knitsublime on Ravelry) in Cananda. The Nome Knitter DPN Cozy. I visited my no-so-local yarn shop (Prena Knits) in Georgetown, SC. I got two skeins of Juniper Moon Farm Sabine, one skein of KFI Indulgence Cashmere and one skein of Malabrigo Sock. Handspun Yarn Winner is Annie! She was the first person to comment on my previous post! Congrats Annie! You have turned me into a fiend. 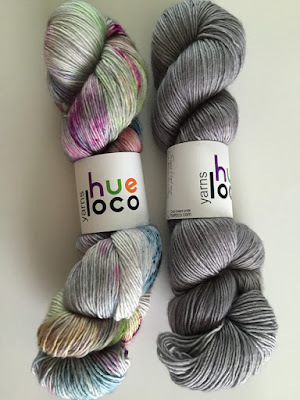 I'm buying yarn like crazy and watching other podcasts! I really need to be stitching not knitting-this is nuts!God forbid I look at any rug hooking. Cari and I want to try that too. Love your podcasts and thanks for all the details. LOL Karen!! That's so funny! You've fallen down the rabbit hole! Rug hooking is so neat - that's one thing I haven't tried yet! Episode Four - Handspun Give Away! 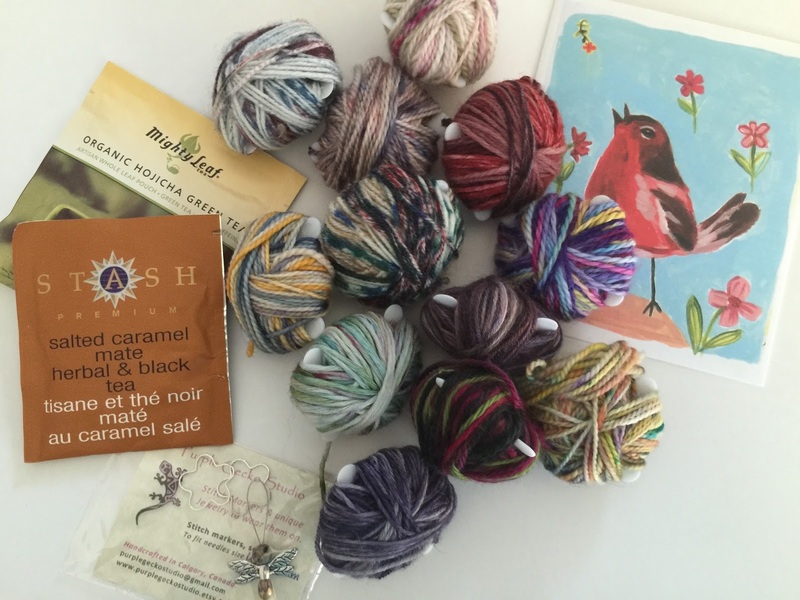 Episode 3 - Knitting and a Little Stitching Too!